So Apple yesterday announced their new iPhone 5S & 5C on Tuesday. They both look great. So to start things off with the 5C it looks great love all the colours and it’s still a really great phone for $99 on contract and $599 off contract for 16GB and $719 off contract for 32GB. It still has all the power of the current iPhone 5 but with new colours and a better Facetime camera and more importantly a slightly bigger battery. 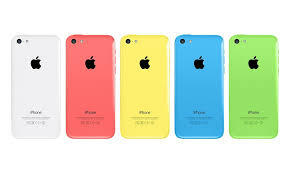 As well the 5C has the most LTE radio frequency ability making it a world LTE device. Also of course runs iOS7. 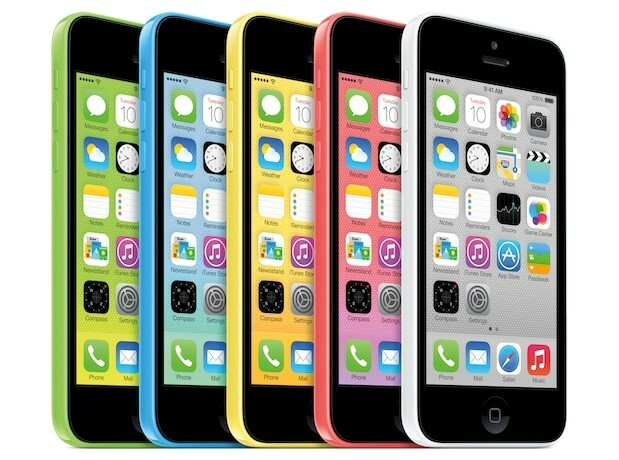 The 5C is available for pre-order Sept 13 and purchase Sept 20 in North America and other some other parts. Next we have the new 5S which is the same case as the 5 but comes in white and silver, slate and space gray, and white and gold. Prices off contract are $719 for 16GB, $819 for 32GB, and $919 for 64GB on contract pricing not yet announced. So as far as features we have a all new 64 bit A7 processor which can still run 32 bit as well supports Open GL 3.0 graphics which in turn allows for 2X CPU and graphics performance over the 5. There is also a co-processor called the M7 which does all motion data from the accelerometer, gyroscope and compass. The M7 also can tell when your walking, driving, or running and do things like switch to the prober map navigation (using only Apple maps for now I would think). On to the new iSight camera still 8MP but larger aperture at f/2.2 and a larger micron lens at 1.5. Also there is what Apple is calling a True Tone flash which means the 5S has two LED flashes one on the cool side and one on the warm side meaning the camera can apply the proper colour and amount of flash to your pictures as needed up to a 1000 combinations. Also the camera finally has a burst mode meaning that the camera can take ten pictures at a time and lets you choose the best one. It also has software auto image stabilization which makes for better action shots. Finally for the camera it can do 120 frame slow motion. Like the 5C the 5S is as well a world LTE device. Finally and most importantly there is the new Touch ID system which is a really easy to use and set up finger print reader it lets you set up 5 different fingers which can be used 360 degrees these prints are stored locally in a secure vault in the A7 chip these prints are never sent to Apple or iCloud. This system can be used to unlock your 5S and for iTunes purchases. Also of course the 5S runs iOS7. The 5S is available to purchase Sept 20 in North America and other parts. So iOS 7 will be available on Spet 18 for iPhone 4 and up and iPad 2 and up and some Touches. So Apple had its WWDC keynote yesterday and had lots to say. First off Mac OSX Lion has lots of new features and a great price of $29.99 for up to five computers. You get this only through the Mac App Store and then can download load it to your other Snow Leopard Macs. But my favourite features are the auto saving, resuming, and versioning. Launching in July. Next up was iOS 5 which is a major leap forward for iOS devices. It has a huge list of features but my favourites are the changes to the notification system/lock screen, the camera/picture apps changes, the new iMessages app which is Apple’s answer to BBM, and best of all being able to update the device and sync without a computer. The supported devices are iPhone 3GS/4, all iPads, and iPod touches 3rd and 4th generation. Launching in the fall. Last up was iCloud Apples new cloud services platform that is heavily used threw out Lion and iOS 5. This service syncs pictures, documents, contacts, mail, calender,apps, books, iOS backups, music. This service is free for everyone and cross-platform. Also sadly for Canada the best feature of the music app locker syncer is US only right now. But this service is amazing it lets you buy once and then your stuff gets sent to your other devives. Also with this service for $25 dollars a year it well unlock your purchased or riped music from other stores. This service launches in the fall.